This exhibition showcases a selection of Jan Saudek's life works. Almost 100 photographs mapping his studio creative production. The exhibition will also include a replica of the famous window, and artefacts known from Jan Saudek's photographs, such as the painted chair and the screen. Lifelong production of Kája Saudek. On display will be drawings and fragments of comics from the 50's. 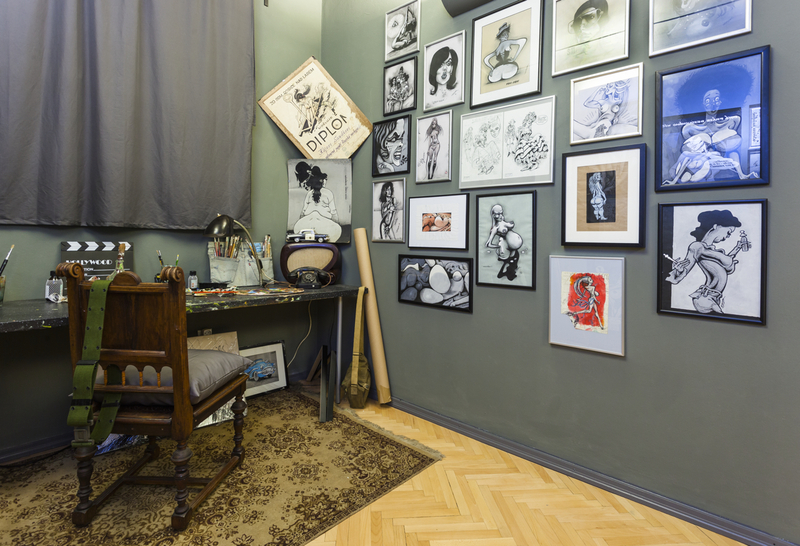 In one part of the gallery you will also find a replica of Kája Saudek's studio and examples of his film related works.